Adam Liddle of Arygle, N.Y., was named the 77th winner of the Klussendorf Award, the highest recognition given to a dairy cattle showman in the United States during the 52nd World Dairy Expo. Liddle is a self-made man who worked hard to learn from others and eventually built up enough equity to rent, and then buy, his own dairy farm. Throughout that journey, he eventually started an eight-year run in which he either bred or owned an All-American nominee each and every year. The award is given in memory of Arthur B. Klussendorf, considered an outstanding showman of his time and a model for all those who have followed him. 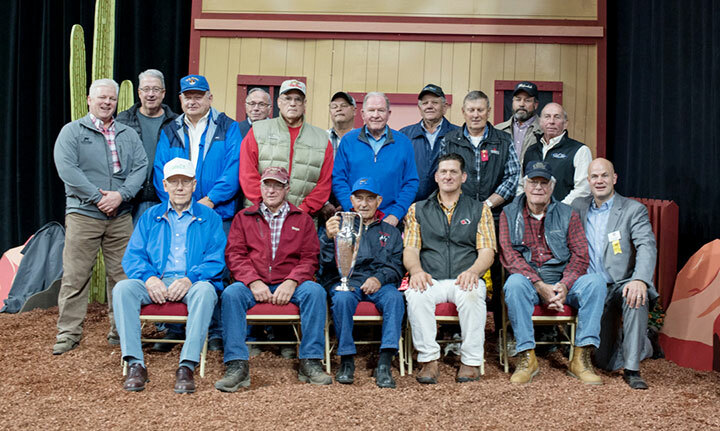 This year’s selection was made by members of the Klussendorf Memorial Association, formed in 1937, at its annual meeting held earlier this week in Madison, Wis. Liddle received the silver trophy designed by Tiffany Jewelers of New York City. 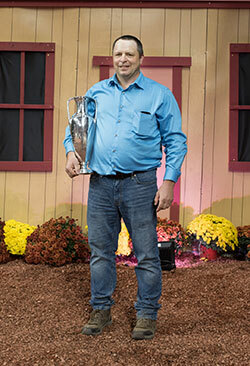 This year’s winner learned early on the value of great cow families when he spent his teenage years working with family at Pamtom Farm in Hudson Falls, N.Y. During that time span, the farm garnered two Premier Exhibitor banners at World Dairy Expo. From that foundation, Liddle went on to work for Ridgedale Farm in Sharon Springs, N.Y., where he had the opportunity to work with great cows and gained an even deeper appreciation for deep cow families. By 1999, this year’s Klussendorf winner branched out on his own with a rented facility that he and his wife purchased just three years later. Within the next decade, Liddle developed an impressive herd. His diligence not only earned him the New York Holstein Association’s Outstanding Young Breeder Award in 2007, it also led to a highly successful sale the very next year. That Liddleholme Farm dispersal averaged $7,573 on 179 lots for a total gross of $1.2 million. Award nominators Wayne Conard and Steve Briggs state, “It will go down in history as one of the greatest herd sales in New York state history.” Cattle were sold to 17 states and two Canadian provinces. Liddle also has a distinguished judging career that has taken him to Europe, Africa, Australia, and throughout North America. At World Dairy Expo, he has judged the Guernsey, Junior Holstein, Holstein, and Red and White shows over the past decade. Adam and his wife, Nicole, have three children — Anthony, Brock, and Hailee.